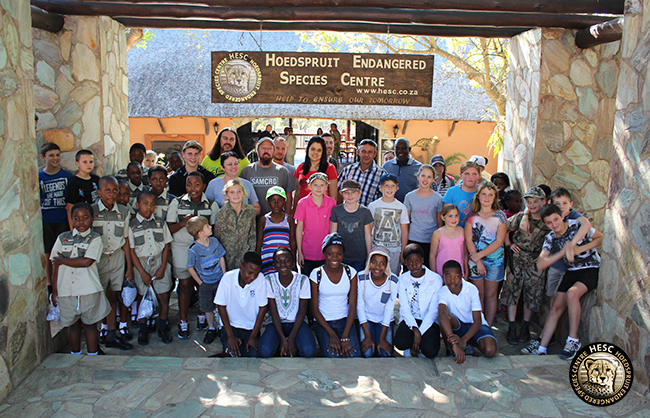 On Saturday 28 May, we launched the HESCie Scouts Programme, which has been created to involve children in conserving wildlife to “Ensure our Tomorrow”. It is crucial to teach children about the importance of conservation from a young age, as protecting nature is essential in maintaining sustainability for future generations. More and more animals, plants and natural ecosystems are becoming disturbed, endangered and extinct. 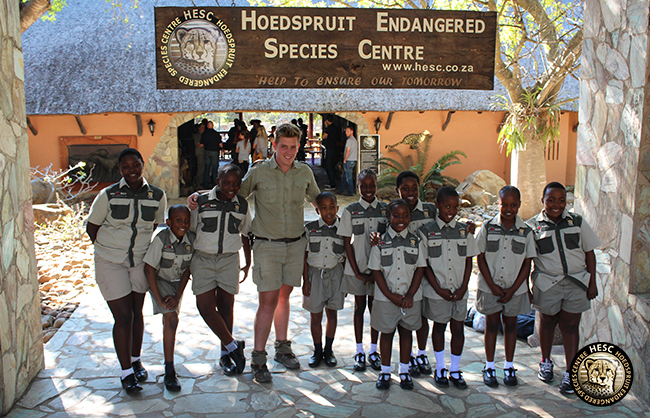 Lente and Adine Roode of HESC implemented the HESCie Scouts Programme in order to instil respect in the children for wildlife, as the future is in their hands. HESC staff and the participants of the Wildlife Conservation Experience will drive the initiative. As part of our community enrichment projects, we are sponsoring 10 students from Lumukisa Primary School to participate in the HESCie Scouts Programme. At the launch, we welcomed a total of 31 HESCie Scouts, between the ages of six and 17 years, who took the pledge to conserve and protect the environment and everything that lives in it. HESC student coordinator, Tanita, introduced the programme to the children and parents who were in attendance. Humanitarian adventurer, author, TV personality and fellow of the Royal Geographical Society, Kingsley Holgate, and Sheelagh Antrobus (from Project Rhino KZN), were among our important guests. The children were then handed Rhino Art packs, which they excitedly couloured in. 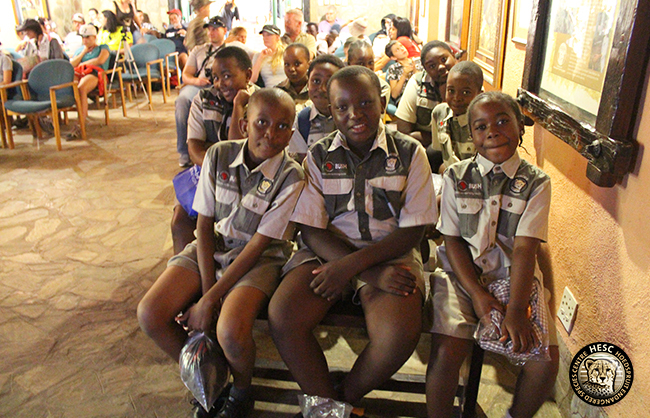 The 10 HESCie Scouts from Lumukisa Primary School, sponsored by the US friends of the HESC, had the opportunity to see the two oldest rhino orphans at the centre, namely Gertjie and Matimba. 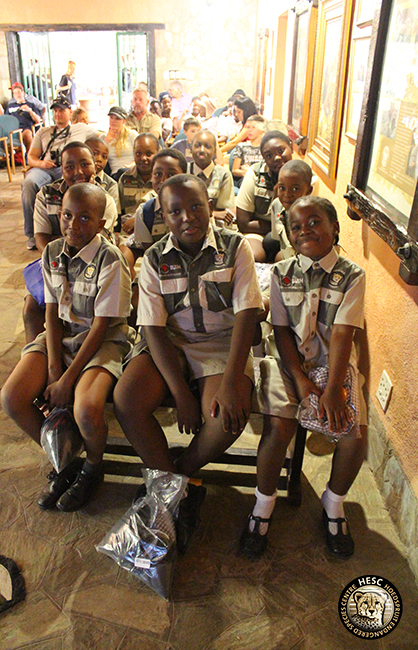 All children in and around the Hoedspruit area are invited to join the HESCie Scouts Programme. The children will be taught more about water, air, survival skills, animals, plants, anti-poaching, world conservation, veld management, adventures, the night skies, camping out and lots more. The programme will consist of two monthly meetings for a period of six months. 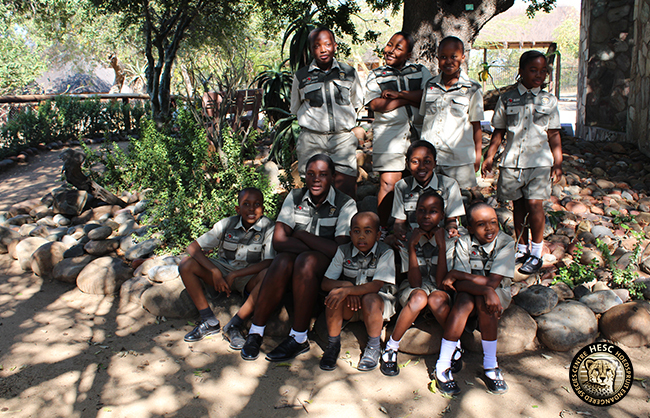 Interested parties can contact Tanita on 015 793 1633 or email students@cheetahcentre.co.za.